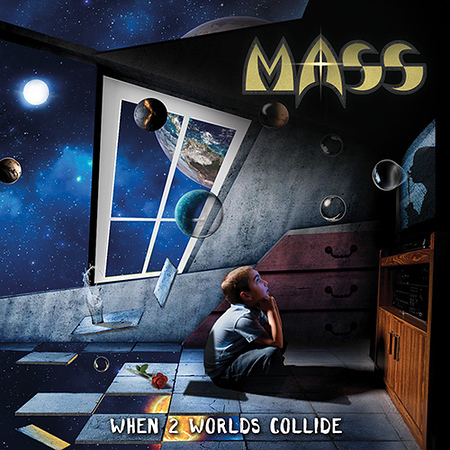 American band Mass released their latest album “When 2 Worlds Collide” through Escape Music on 25th May. The band formed in Boston back in 1979 (as Axes initially) and they have continued to perform ever since, releasing albums periodically. This is their third album release with Escape, but the first in eight years, and if you’re a fan of melodic hard rock it is worth checking out. I featured the title track on the Friday NI Rocks Show on 8th June. Singer Louis D’Augusta and guitarist Gene D’Itria have been with the band since it formed in 1979 as Axes. For legal reasons the name was changed to Mass in 1981. Drummer Joey ‘Vee’ Vadala has been with the band since 1984 and bass player Michael Palumbo since 1995 (other than a brief period in 2007/08). There are 11 tracks on the album. Some of my favourites would include “Only A Dream”, “Alive”, “Revenge for the Maiden”, “Some Time Ago” and “When 2 Worlds Collide”. Jeremy Heussi plays keyboards and strings on the album, whilst Michael Sweet from Stryper plays a guitar solo on “Stand Alone” and Brian J Anthony, who mixed and mastered the album, plays mandolin, acoustic guitar and keyboards on “Second Hand Rose”.